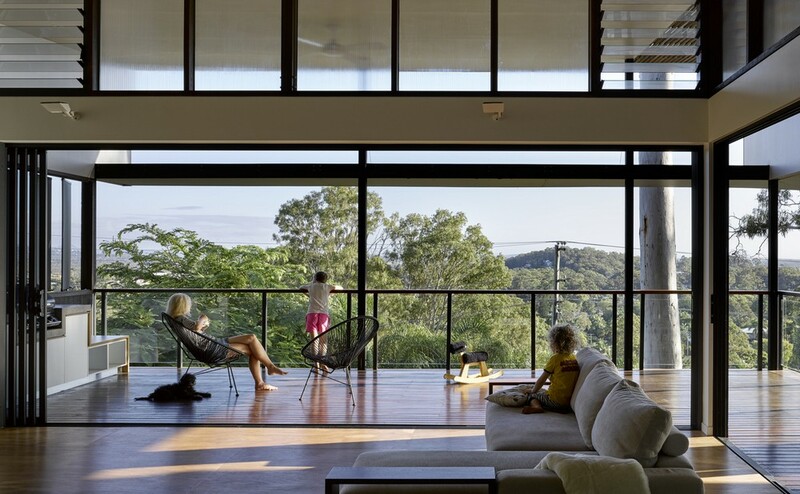 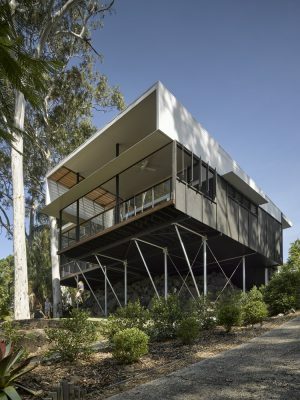 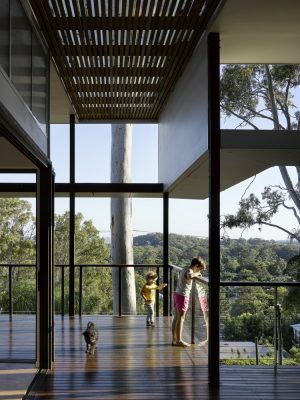 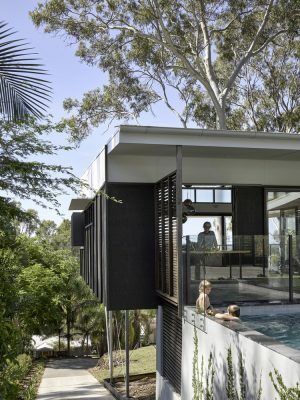 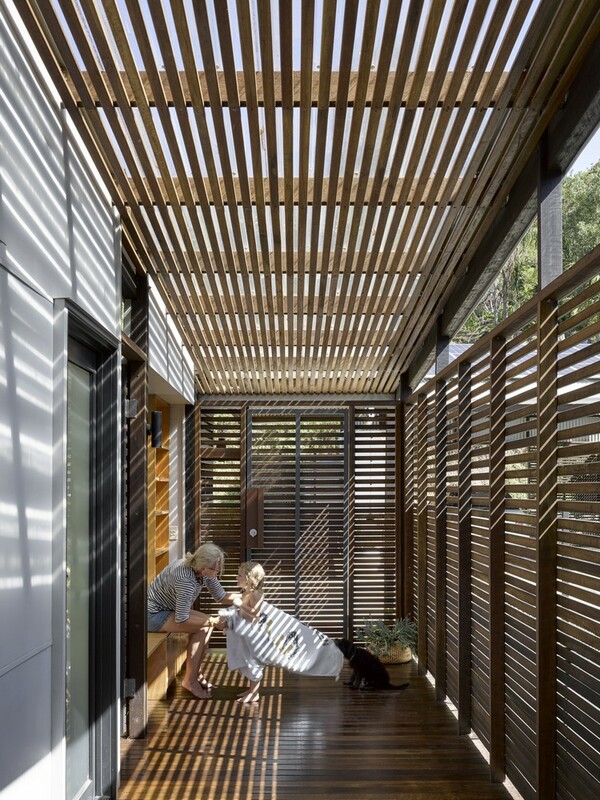 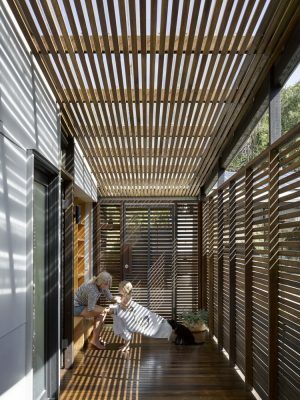 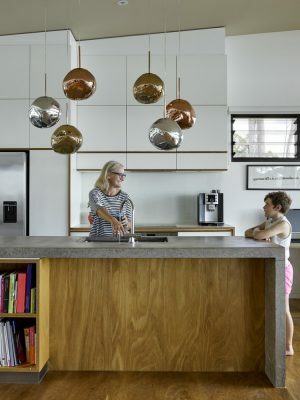 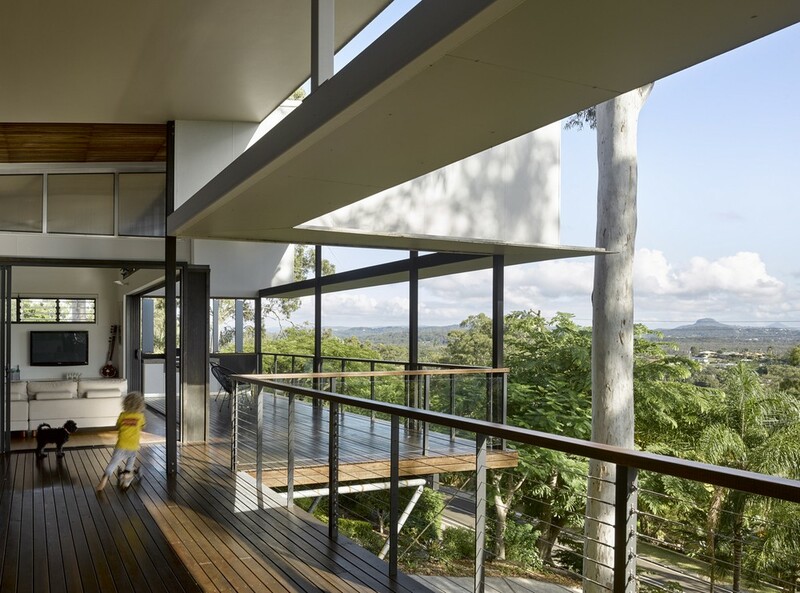 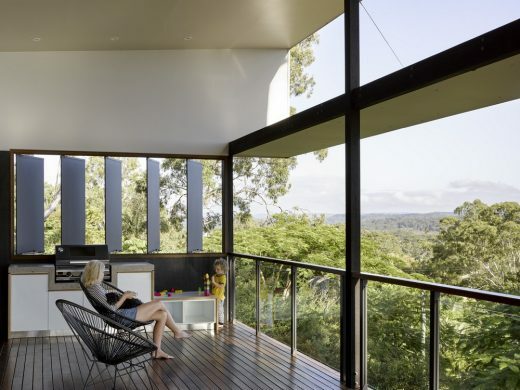 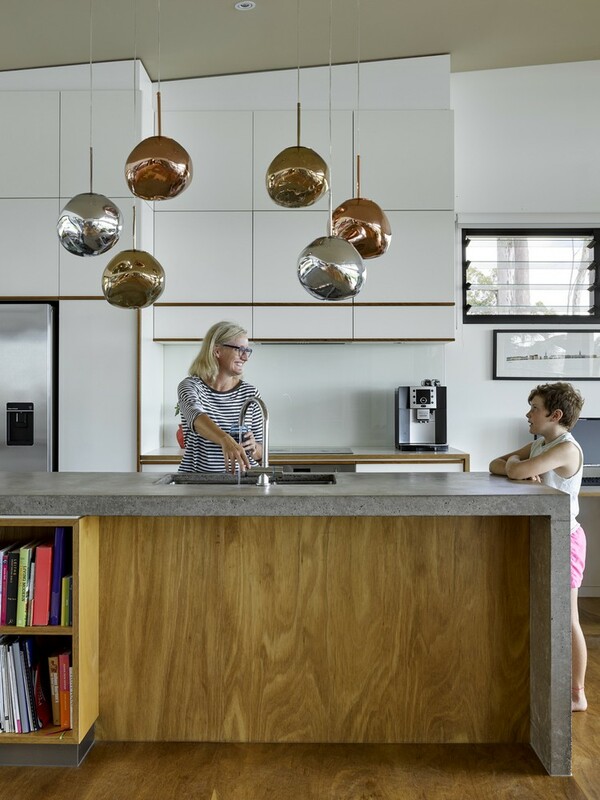 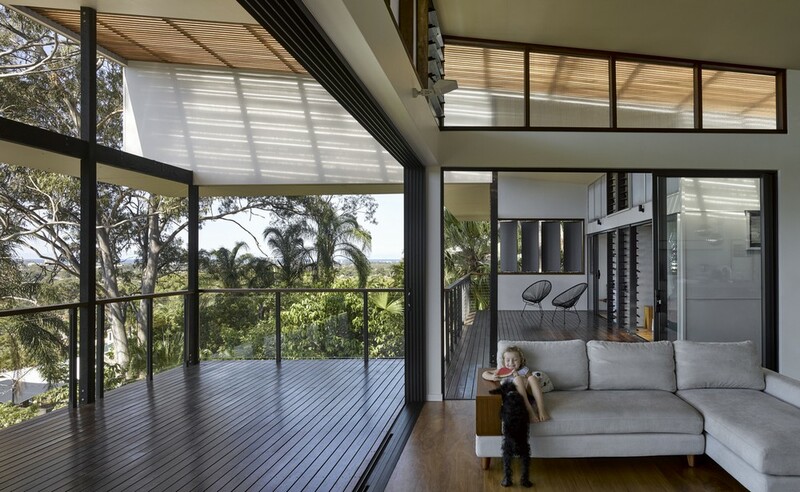 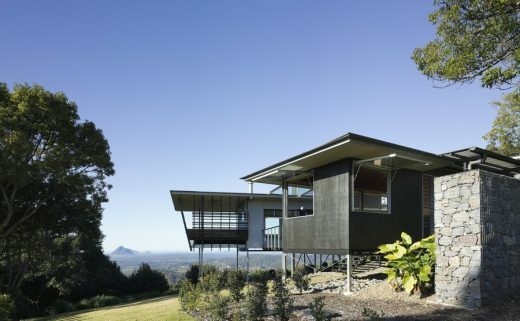 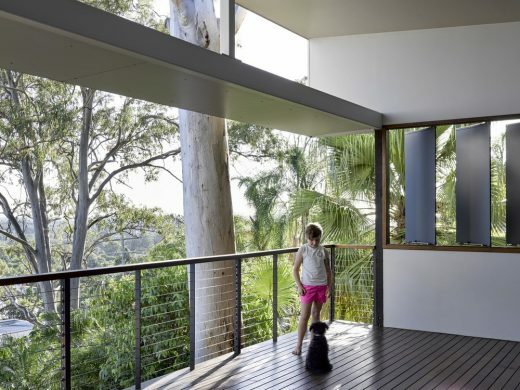 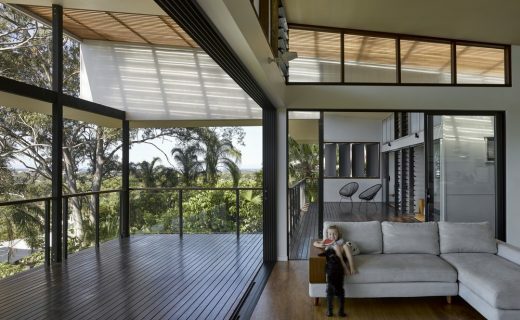 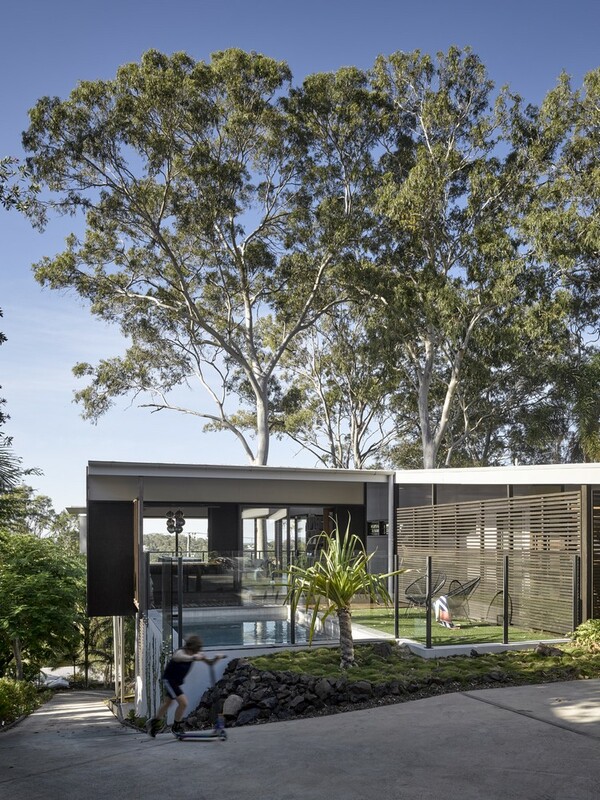 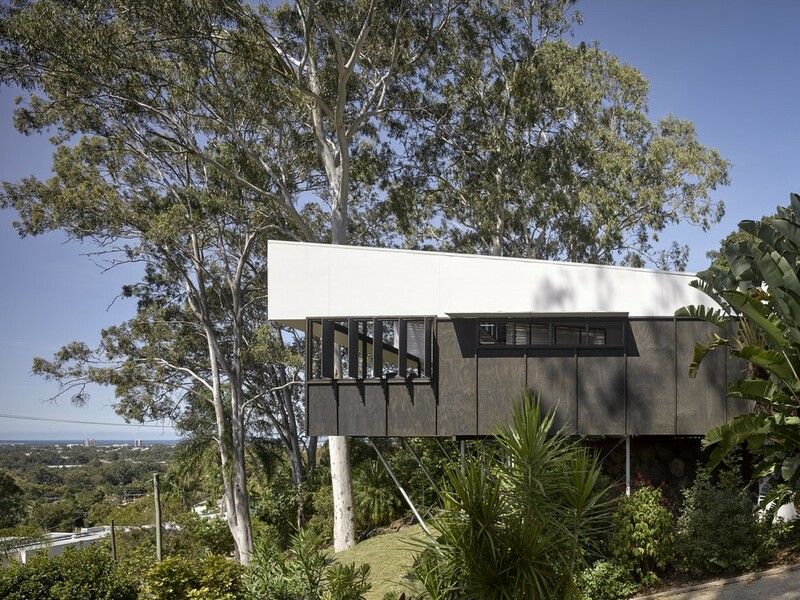 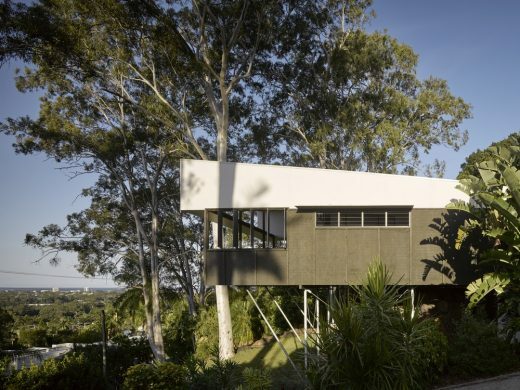 Two Tree House is designed for a young family on the steep terrain of a north facing escarpment in Australia. 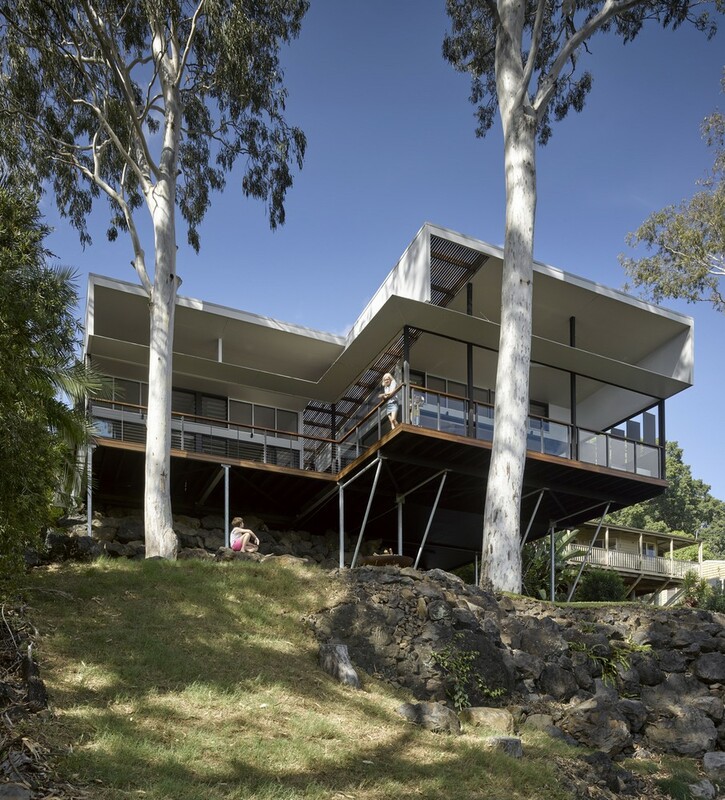 ‘Two Tree House’ preserves and celebrates the magnificence of two ancient ‘Flooded Gum’, Australian Eucalypts within the spirit of its place. 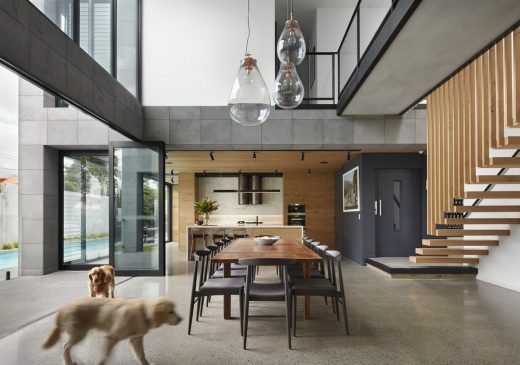 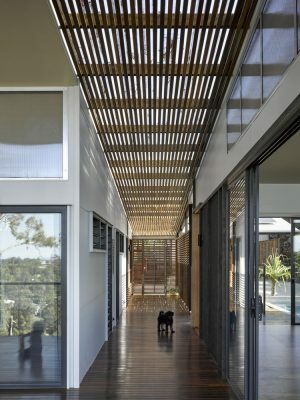 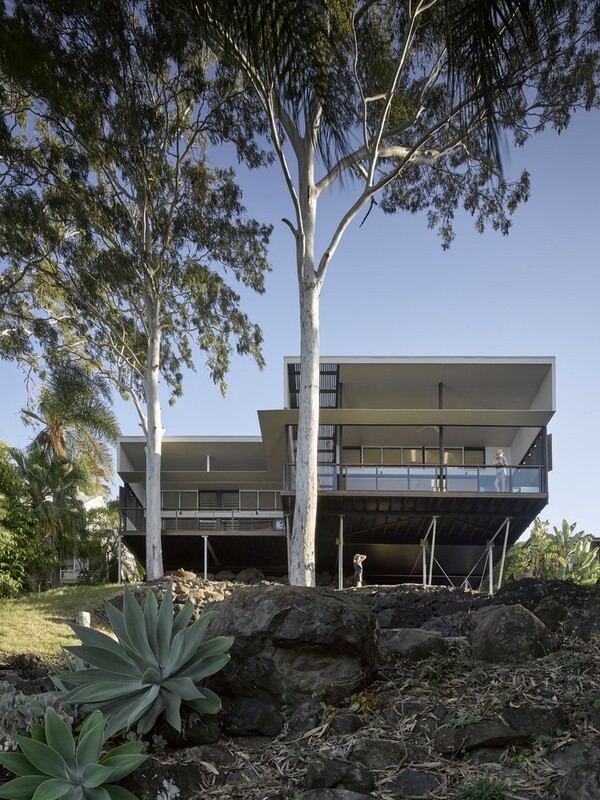 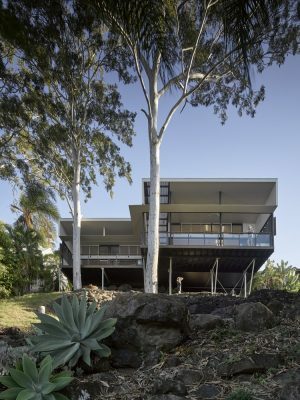 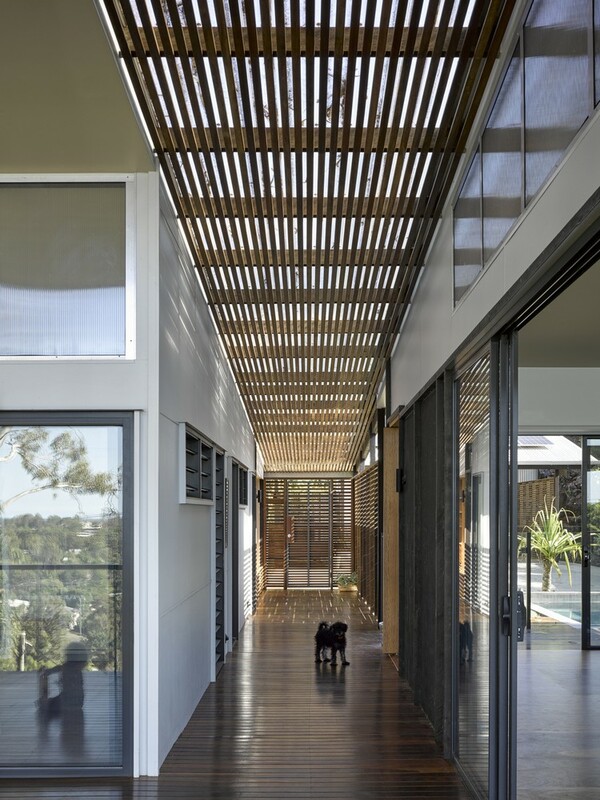 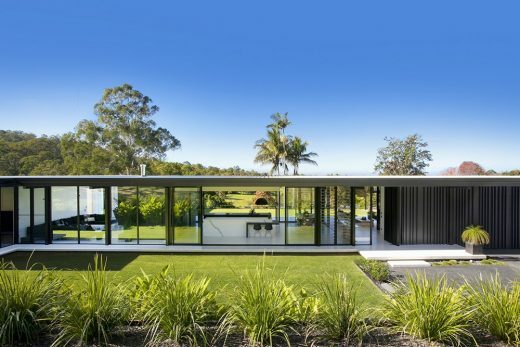 It is a breathable and porous house to suit a benign subtropical climate, and an inextricable connection to its coastal place.